The MCFN- Government and Industry Relations (GIR)'s Community Based Monitoring (CBM) program combines Traditional Knowledge and Western Science to answer to community concerns about changing environmental conditions in our homelands. Guided by our Elders and Chief and Council, the CBM program currently samples year round and provides information to decision makers and members at large about the health of wildfoods, the quality and quantity of water and the safety of winter travel conditions. 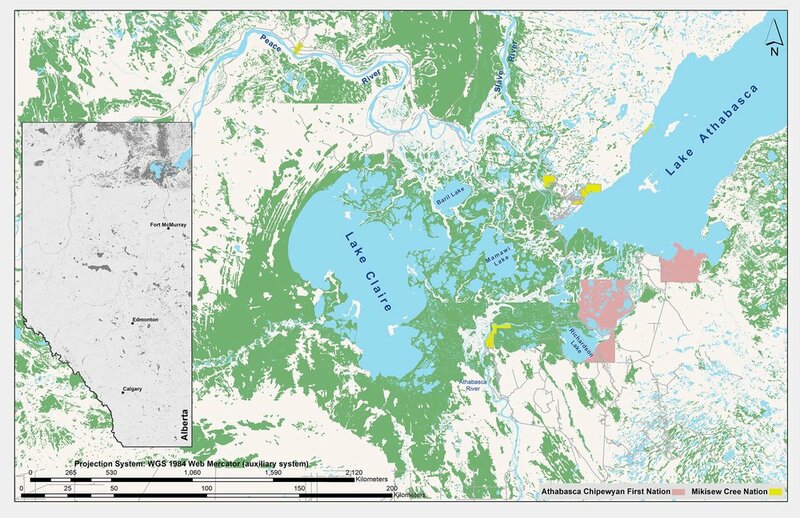 Our organization aims to inform, educate and facilitate adaptation to changing environmental conditions in the Peace Athabasca Delta. Initiated by the MCFN - (GIR) back in 2008, the CBM program provide answers about the state of the environment, the health of wild foods and continues to provide information about safe navigation to community members by tracking and marking river channels and hazards, and measuring changing winter ice and snow conditions. The CBM also provides educational opportunities for youth and Elders to come together, and assists the MCFN-GIR in negotiations and Environmental Assessments for proposed resource development projects. The CBM employs 'Environmental Guardians' who are MCFN members, well-trained and professional. The Guardians also respond to emergencies, (such as the October 2013 Obed spill), and undertake primary research on water quality alone and in partnership with government and Universities. The Mikisew Cree First Nation CBM program has an established office on the Doghead reserve in Fort Chipewyan and maintains one full time staff member and two part time staff, and include Elders and Traditional Knowledge fully in their routine sampling and research. The CBM Program can also be described as an innovative data collection and educational program, established by Mikisew Chief and Council out of the recognition that Mikisew’s survival as a nation depends on the health of the natural environment in the traditional territories. supports researchers from Environment Canada, Parks Canada and universities across Canada with research. 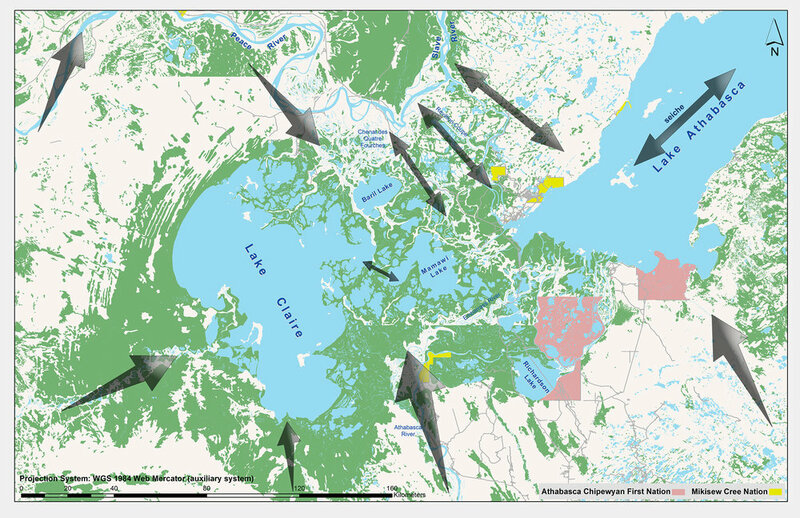 Healthy traditional lands that support MCFN members for the next 7 generations. To protect MCFN Treaty and Aboriginal rights though active monitoring of the environment, using Traditional Knowledge and Science in a respectful balance. • Assist training or documentary video production. • Understand government acts & policies such as NPRI/ MEND/MMER/ CEAA etc. 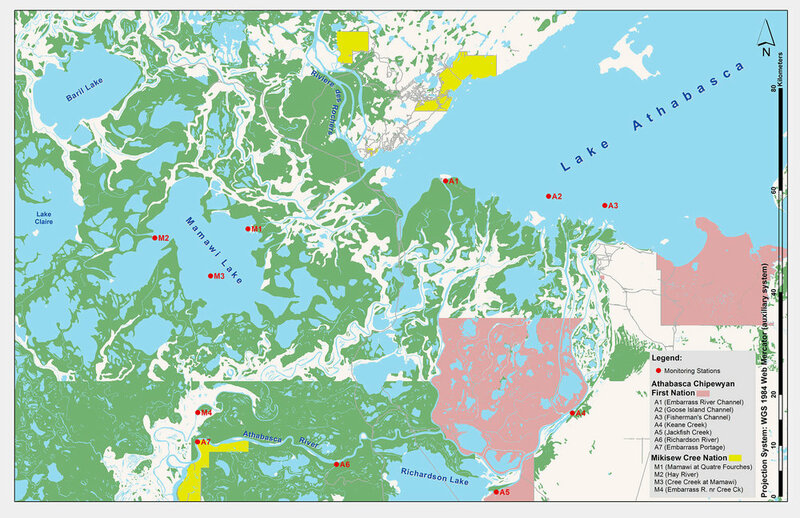 The CBM Program can gather important information about key areas of federal jurisdiction, such as navigability, fish habitat, migratory birds, species-at-risk, federal parks and Treaty rights in a region where each of those areas is under significant threat from industrial activities. The CBM Program has linkages with the community health issues facing Fort Chipewyan by gathering baseline information about traditional resources and creating educational opportunities about environmental issues. While Mikisew directs the CBM Program, this is information that is shared with the entire Fort Chipewyan community. The CBM Program can serve as a tool for integrating indigenous rights and traditional knowledge into federal environmental assessments, decision-making frameworks and consultation processes in a manner that recognizes a nation-to-nation relationship. The CBM Program has built links into the local school curriculum to help youth learn about the state of the environment around the community and to inform youth of education and career opportunities in the environmental sciences. There is room to grow and formalize the educational aspect of the CBM Program in a manner that also provides linkages between science curriculum and cultural programming. Mikisew has worked hard to coordinate its research protocols and data storage so that the information being gathered can be utilized together with information from other research. This allows CBM to be integrated into and complement existing provincial and federal research initiatives and there are opportunities for further coordination and collaboration. The CBM Program could be a high-profile initiative that demonstrates Canada’s commitment to addressing climate change, resetting its relationship with indigenous peoples and protecting one of Canada’s most recognizable and threatened World Heritage sites. that were used in the UNESCO Mission, click HERE. MCFN Councillor Calvin Waquan, Katie Wheatley – MCFN GIR Representative, Nipin Vermillion – MCFN Youth and Larry Marten – MCFN Elder attended the “National Indigenous Community Based Climate Monitoring Symposium” in Winnipeg, Nov. 7-9, 2017. The conference had representatives from the Federal Government, staff from CIER (Centre for Indigenous Environmental Resources) and Indigenous community representatives from coast to coast including Elders, technical staff and youth. Ove...r the course of 2.5 days, a wide array of workshops was held that focused on open dialogues on data collection, storage and dissemination. The floor was granted to Elders and traditional knowledge holders on multiple occasions, as they provided insights on their experiences of climate change. On day 2 of the Symposium, Councillor Waquan gave a great presentation on our Community Based Monitoring program (see pic #3). Photos provided by © Donald Voyageur, all rights reserved.